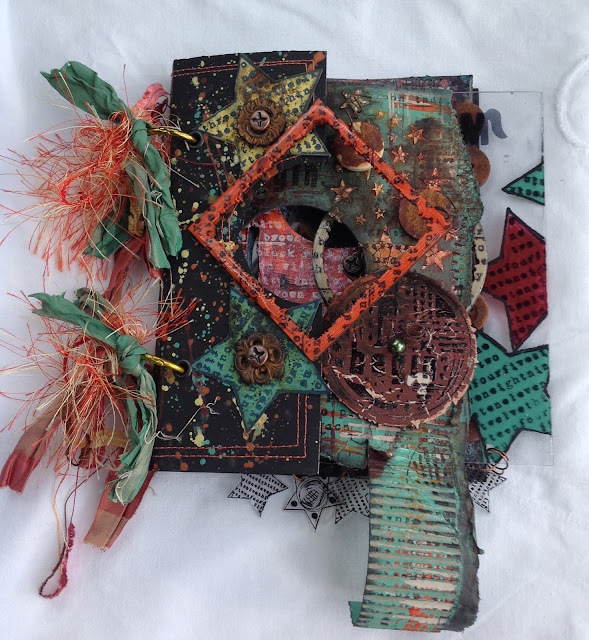 Hello and a very Merry Christmas from PaperArtsy HQ! The next few days ahead are the time of year that we reminisce and look back on the topics this blog has explored during 2017. Did you learn something new this year? Did you achieve a personal goal, or tick something off the bucket-list? Were you challenged in ways you least expected? I think for all of us there have been numerous unexpected twists and turns in international terms for us to absorb throughout 2017, lets hope for calmer waters in the year ahead! I'd love for us all to move towards a more fulfilled and content future! We've all been provided with the highest quality and widest variety of artistic styles on the PaperArtsy blog this year. 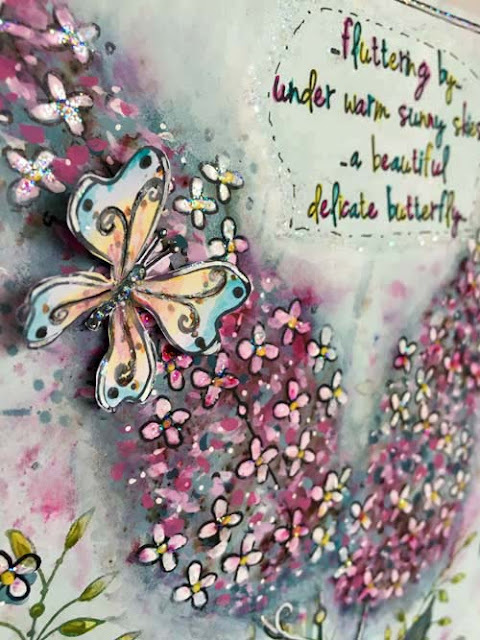 We deliberately strive to bring you bloggers with different styles, strengths and experiences and this melting pot suits the equally broad array of products available from the PaperArtsy brand. Tonight I'm sharing a few reminders from 2017 Topics 1-4. Read on to find out more. In 2017 we decided to add a subtle structure to our topics. 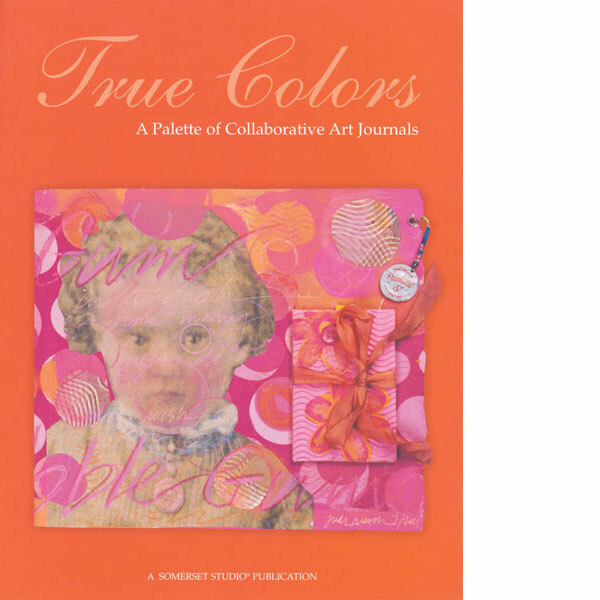 Each round of 4 topics started with a colour theme, and the first of these colours was based on the True Colours Publication, curated by Lynne Perrella. 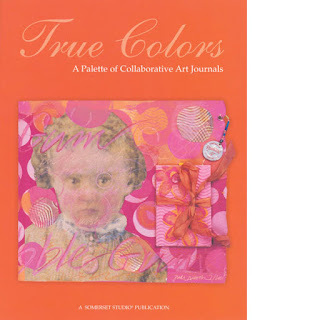 My favourite and a real turning point for me, was the chapter on Pink and Orange by Teesha Moore. And, so it naturally followed that this would be the first topic of 2017, a burst of enthusiasm and boldness! Wendy Malls kicked off her year with this perfect representation of those zingylicious colours and made a Book of Pockets! or is that subpink (and orange)! 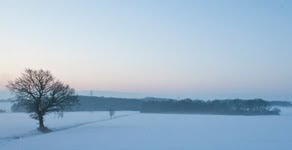 Honestly, I could show you every post for this topic - they were all astonishing, which really is the story of the entire year on this blog! 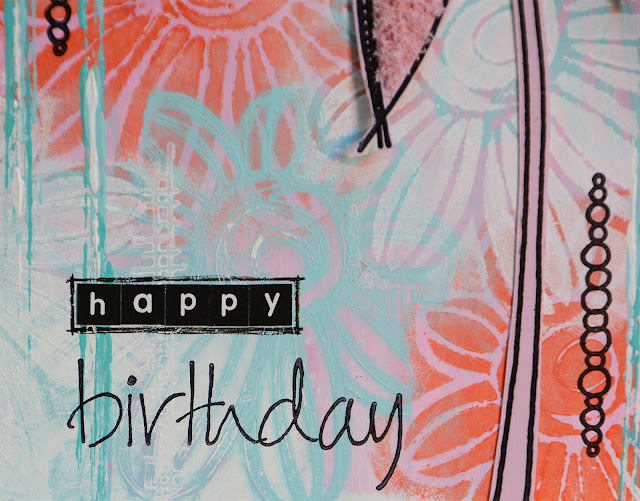 Here, Chris Dark lobbed Kay Carley's stamps out of the park...look at this in-progress shot!! Stunning! OK Just one more...Jennie Atkinson interpreted the colour theme as led by Infusions. Her palette was soft and subdued, as is her style... I love that any colour combination can be re-worked to suit personal preference. So now you know, Pink and Orange certainly doesn't have to be HOT! It can be dusky too! 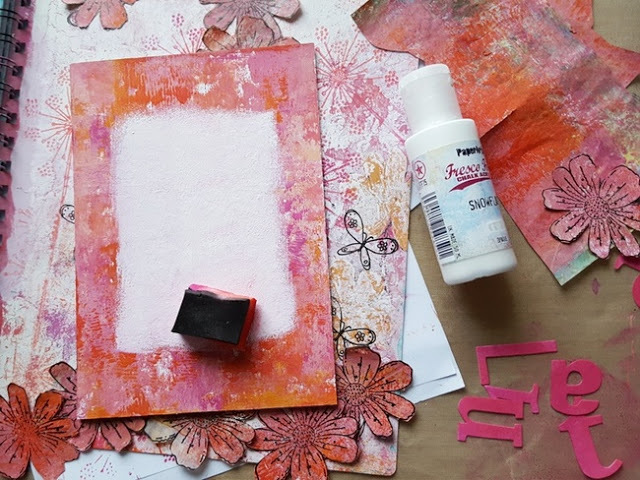 Do you know the difference between stencils and masks? Well, it is fascinating how the lines have blurred. But a mask hides things right !? So let me leave that with you and you figure it out! Anneke is a masking guru. 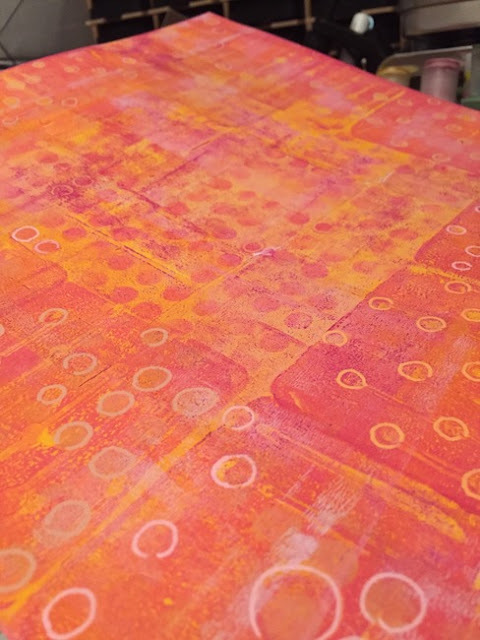 Layer upon layer of soft and delicate paints with a poweeee-pop of orange! I love how she uses colour in such an effortless way. 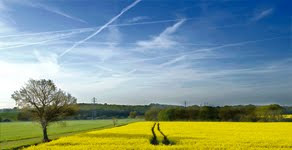 And I love how this picture links the last topic to this topic!!! OK, I'll admit it, sometimes you feel like you have to turn your brain inside out to understand how stancils and masks can be used. And our own, very lovely Missy Jo is very good at turning my head inside out on an annual basis! 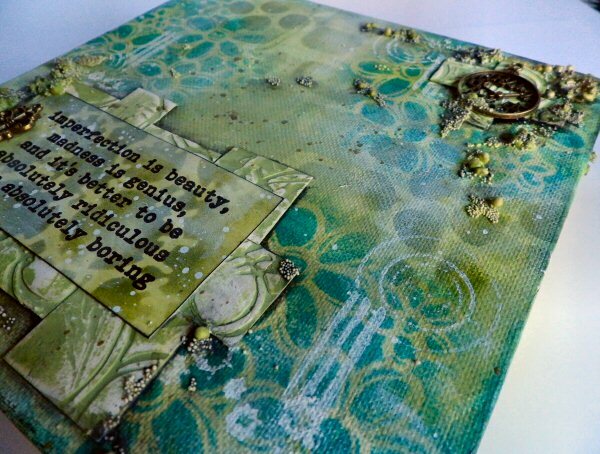 This post fascinated me, and the stencil she created to do this is ACE!!! 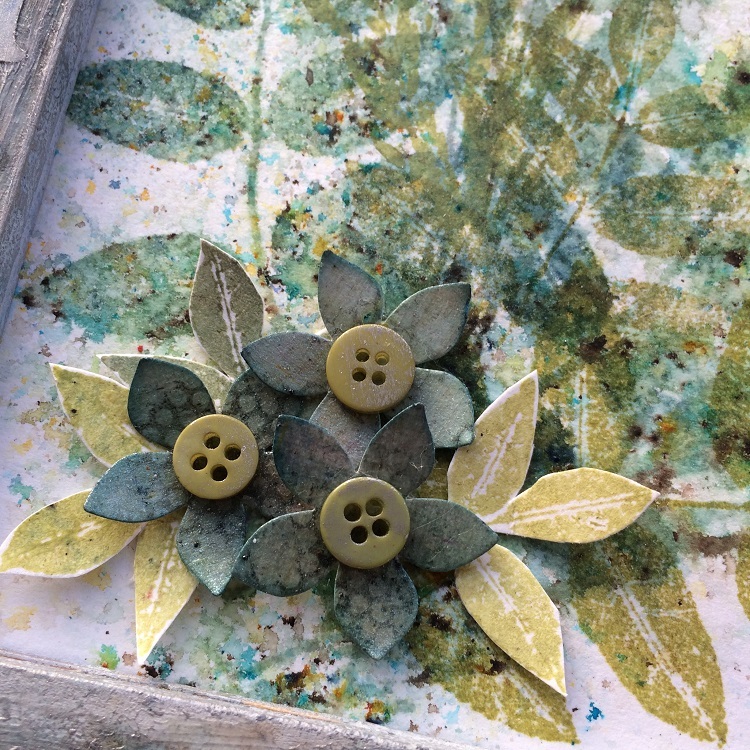 Another of our talented in house designers, in fact a newbie 2017 PaperArtsy designer, is Alison Bomber. 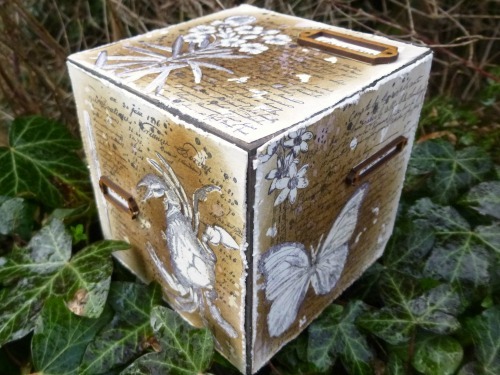 I think we are all a bit scared of white, but look at how masks make this box pop! We all know the basics of using infusions now ...well if you don't yet, just use the search bar on the sidebar of this blog and you'll be bombarded with posts from the past 2 years! 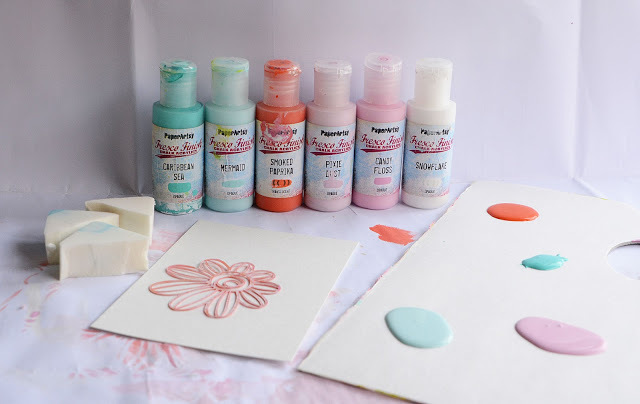 Our Fresco paints are chalk, so this can inherently provide a really good tooth for infusions to grab onto, it can also offer up other creative options too, let me share a few with you now! Take a deep breath those 'cleanies' out there...infusions WILL stain your fingers, but that's part of the fun right?!! Hey it scrubs off, so don't panic....Xmas parties are O-V-E-R you're allowed to get messy!! Helen used bleach! Not to clean up (sheesh! silly!!) noooo... to knock back her infusions in the most stunning way....Look!! You know you want to sprinkle just like her!!! I think this is one of my fave's from Hazel. She got so excited when she was layering up this book of Seth's newest products: wood, paint, rusting powder, and of course infusions all feature within the covers. It's a bit like those interactive books you buy for kids to poke and prod...except it's for us grown ups!! 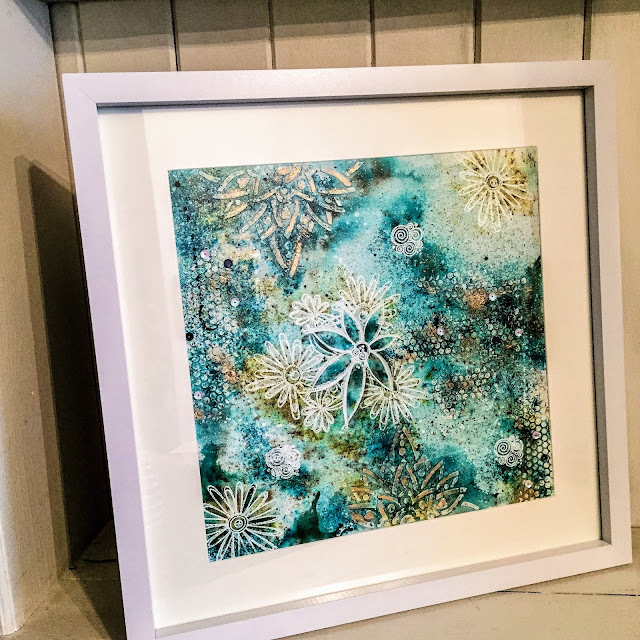 I adored how Clare Messenger made this piece ready for the wall, how cool would 4 of these look for a fabulous statement piece in your house! Boy are we lucky that Kay Carley is getting out and about in 2018 teaching her skills to us all! Check this out!! 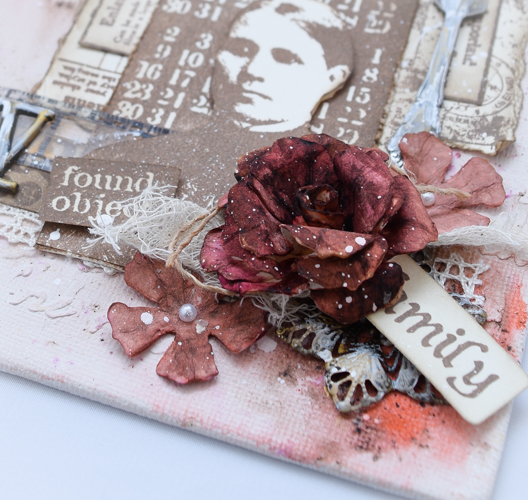 An amazing amount of detail to bring this sample together, lucky for you she shares the steps in great detail too in her blog post! Go and check it out! Ok, how about this! Ruth Mescall is also an infusions guru! I adore this post too...I love them all, how can you choose just a few to share !!??.... this is torture!...but look, it's so lovely!!! On the back of this I was demoing Lin's flora stamps with infusions all year at the shows we do! Love love, love. If you haven't yet tried infusions, take a minute to absorb the colours, the tones, and the depth. They make you feel awesome! I have a secret fascination with doors. Every time we head over to the fabulous continent of Europe, my first photo is ALWAYS a door, or wrought iron covering a window, or gates...all those elements always look more romantic on the continent than here, in the generally dull, grey-skied Britain! Who wants a shiny red or black or cream spick and span door, not me! Give me a rusty peeling hardy old well-loved door any day!!! 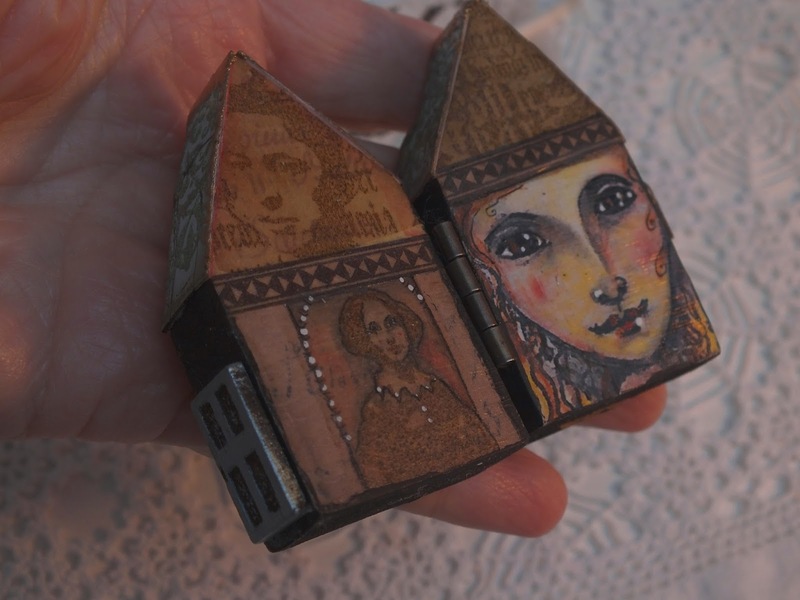 Julie Ann has been creating astonishing miniature hinged art blocks and they are a delight! My first pick to remember is this, she writes gorgeous back stories to them too! I think this was the best thing from Emma Godfrey with her stamps! Not only has she created windows, she's also used infusions as 'pops' of colour - you know you want to sprinkle those things ... yes you doooo....(I digress - I'm under the spell of infusions). Where were we, oh yes, Emma's super-cool frame. Go take a look! So this next sample not only do I love, but the colour follows on perfectly from Emma's sample above!! 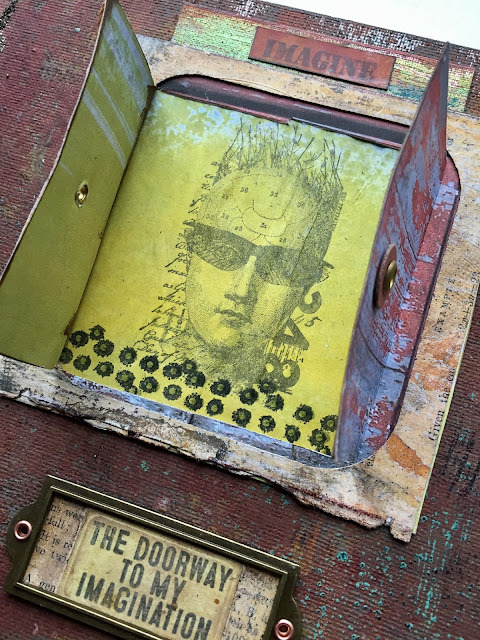 Yup, it's Seth with one of his original doorways...he makes a lot of interactive art! Love the pop of color inside the doors, and his masterful painty layering ideas. It is so much fun to look back on what our genius bloggers have shared with us over the course of a year. This year seems to have zapped by in a blink, but at least the blog remains as the perfect reference tool Don't forget to save the posts that float your boat on pinterest. No excuse now, you'll hit the New Year with a dozen ideas to crack on with! See you again tomorrow with more! Happy Boxing Day (as I didn't get to read the blog yesterday!) Great review of the first topics, had forgotten quite a few but not that fab pink and orange one! It was an amazing year - I haven't managed to keep up with all of it, so these review posts are a proper treat! So many of these were my favourite projects too.